Find and buy what you want on the fly. 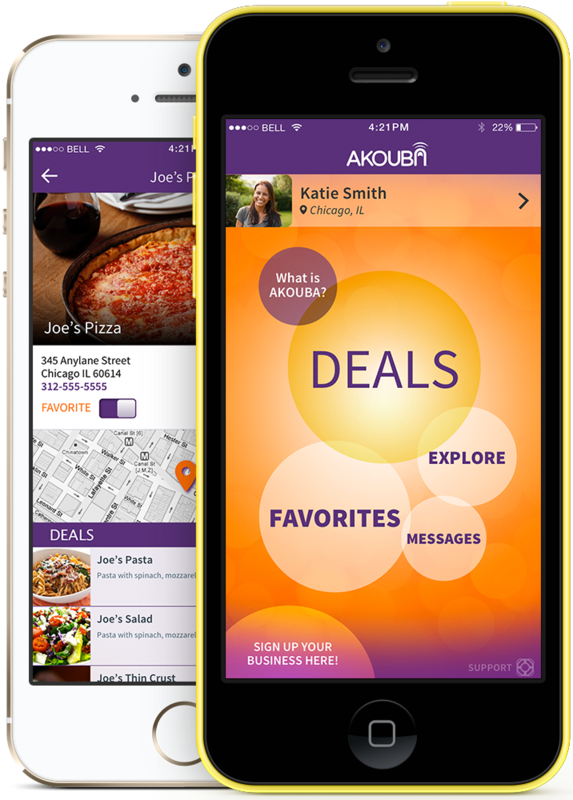 Akouba is a virtual marketplace where people can enjoy a full-service customer experience and interact directly with businesses – all in one intuitive app. 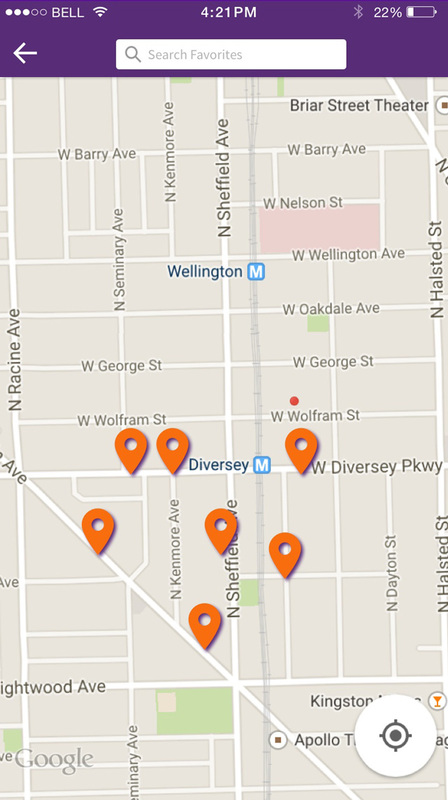 Use the robust search function to find exactly what you’re looking for and start saving! 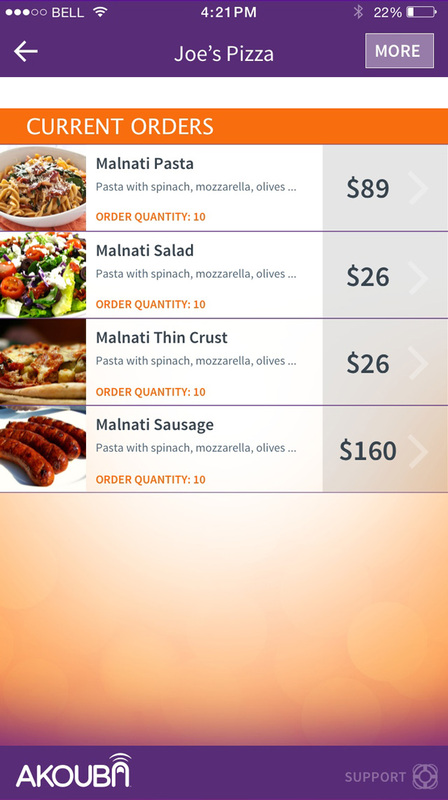 You can purchase goods and services right from your Smartphone. 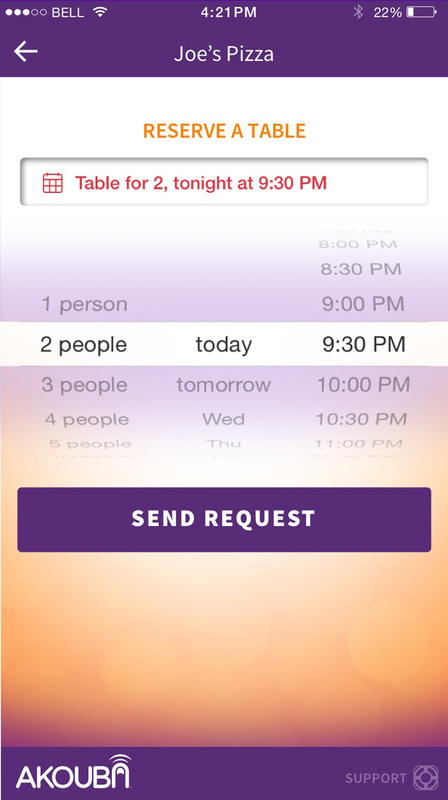 You can make appointments and reservations with your favorite businesses through the App. User view of business' virtual "storefront". 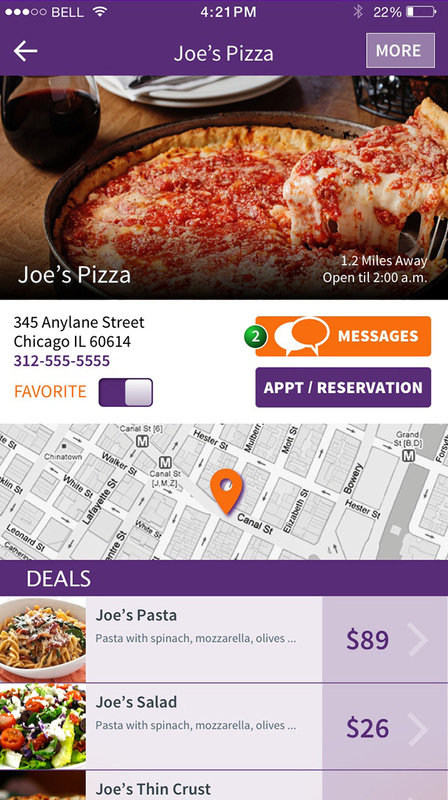 Designate which businesses are your favorites and receive special deals and offers from them. 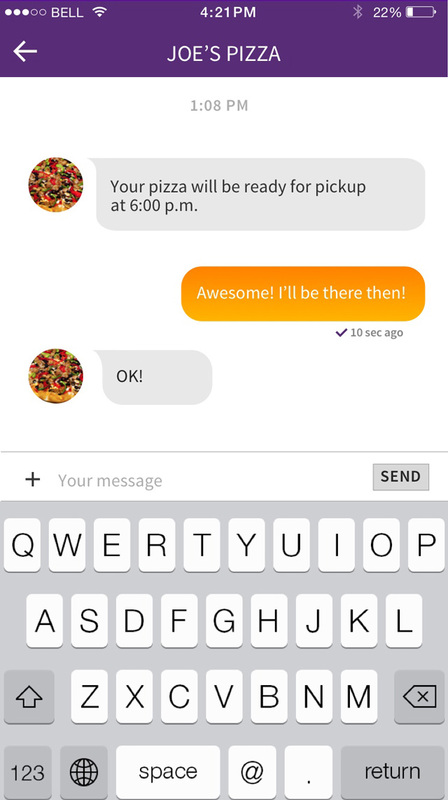 You can communicate with your favorite businesses via chat instead of calling. Maintain your history with any business with which you’ve done business. By staying in touch with your valued customers you stay relevant with them and they stay loyal to you. 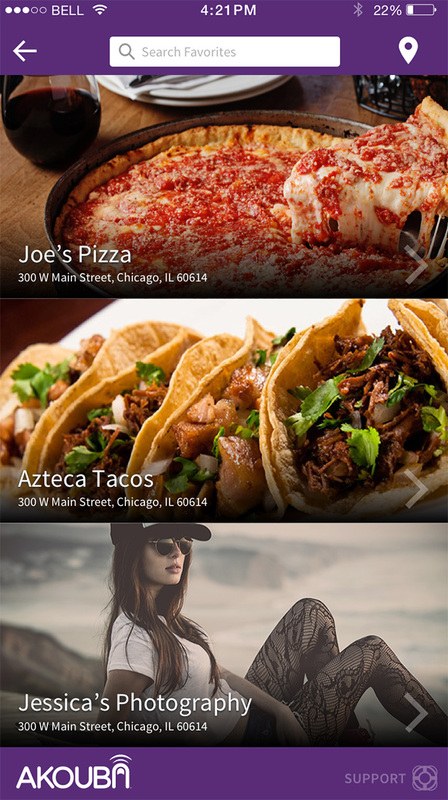 By creating an online presence and a virtual storefront through our App you get exposure to thousands of new customers. Our single affordable subscription gives you a dashboard to conduct nearly all of your marketing needs as well as an App presence on your customer's smartphone. Now through Akouba, you have access to "the" state-of-the-art technology and marketing solutions that your large competitors do. 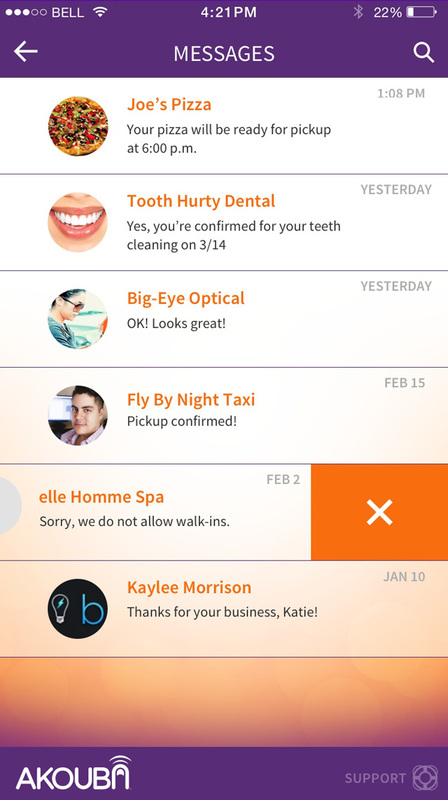 Powerful marketing tools at your finger-"tap". Control your marketing from one portable, intuitive and easy-to-use dashboard. Create your own specials at any price, quantity and run time and keep ALL the proceeds. Terms that worked for your business. Empowering clients/customers to make appointments & reservations. Communicate with your customers 1-to-1 via live chat from a smart device. Keep ALL of the proceeds from your sales and monitor your performance. Mary, who owns a local flower shop goes to Akouba.com and becomes a member. Mary then follows the easy steps and uploads her logo and pertinent business information. She then creates specials or deals that benefit both the business and her clients. For instance a dozen red roses with a vase and free delivery for a great price offered for a limited time. 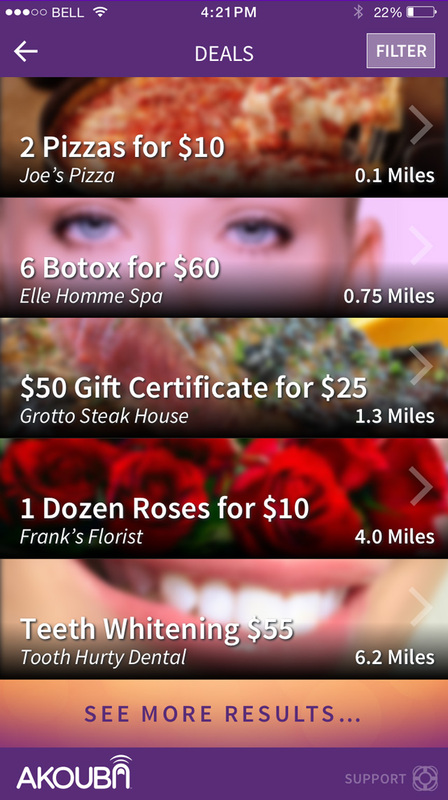 Mary then can send a notification or an email to her clients prior to Valentine’s Day as a reminder, which allows her customers to buy the special with just a few clicks of the button on their Smartphone App. Mary then doesn’t lose business to a national competitor who advertises on TV and Radio. Bob owns a successful restaurant but would like to increase his business on his slow days, Monday and Tuesday, as well as promote a couple of popular and profitable dishes. After becoming an Akouba member he broadcasts two very attractive specials with a caveat that they must be used on Monday or Tuesday. 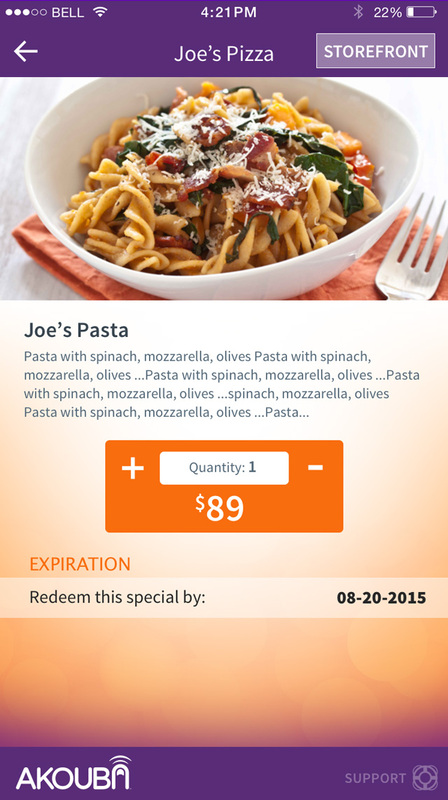 In order to increase the amount of downloads the servers offer a discount to all of their customers when they download the Akouba App and make their business a favorite. After averaging a modest fifteen downloads a day, the Bob was ecstatic when he realized that he had over a thousand followers in the first three months. 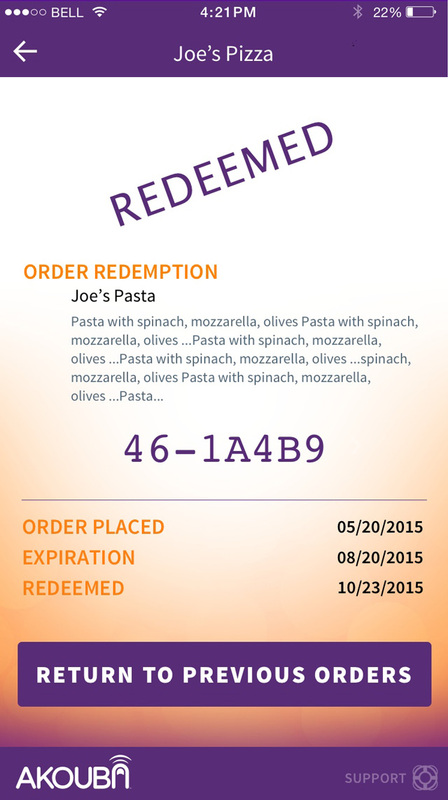 Bob now uses the Akouba App to create his member program and gives a discount to all of his clients who make his restaurant a "Favorite." Alice runs a successful business but feels that too much of her business is dependent on Daily Deal sites, in which she pays a high percentage of revenue. 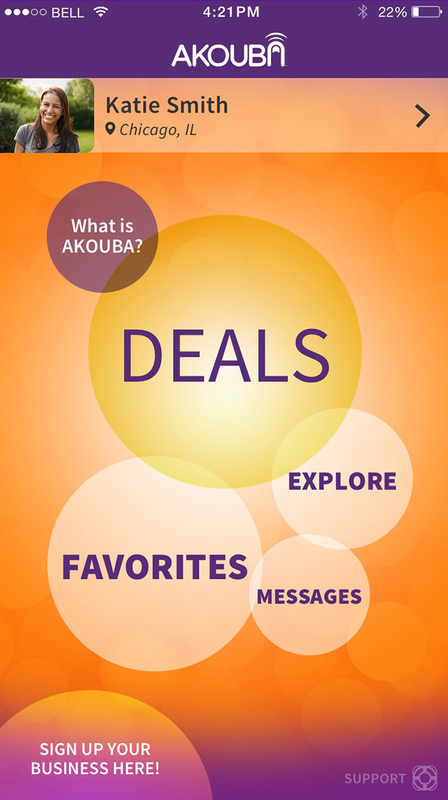 After sending out an email blast promoting their new App presence, Alice begins to run her "Daily Deals" directly to her clients as well as to the thousands of Akouba members and is able to keep all of the proceeds of her deals through Akouba, as well as conditioning her clients to navigate to her business site whenever they want to see what type of special is being offered. Her clients now comment how easy it is for them to receive her deals because they are no longer buried with tons of irrelevant emails and can archive them once they make a purchase. Spend your valuable time growing your business and being productive. 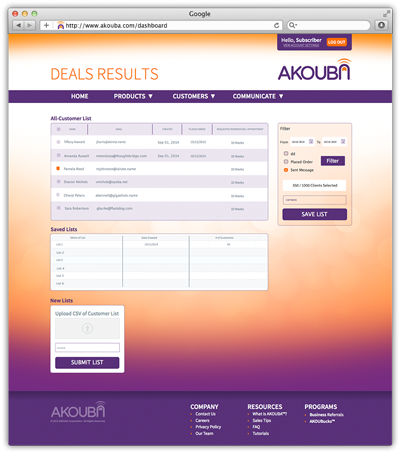 Akouba empowers the business owner through a powerful and broad-reaching app within a user-friendly system. Conduct business and communicate with your customers in a completely secure environment. We are here when you need us to partner with you and your business. Akouba is constantly improving and adding new features and utilizing most updated technology to keep your business ahead of the curve. Akouba provides the User a gorgeous, functional interface in which they can interact directly with any business within the community, both locally and beyond. �2018 Akouba Corporation | All Rights Reserved.